With the 2006 Winter Olympics fast approaching, Russell & Jeffcoat Realtors, Inc. and its commercial marketing firm Inspired Hype needed to quickly prepare for the real estate company’s local television sponsorship of the winter games on WIS-TV, Columbia, SC’s NBC affiliate. With a short production window and two high definition commercials to produce in less than two weeks, Inspired Hype turned to Go To Team to meet the production challenge. “We knew we needed quality production and quick turn-around. Our producer knew exactly what he needed and Go To Team was his top choice. Their equipment and crew were superb; and the end-product, phenomenal. Our client couldn’t have been happier,” says Dave Wilson, Chief Strategist and Managing Director of Inspired Hype’s Columbia office. The two commercials featured company founders, Bob Russell and Abb Jeffcoat, along with top agents who work for Russell & Jeffcoat, South Carolina’s largest independent real estate company. The commercials marked one of the first-in-the-market high definition productions to air in the Columbia, SC market. Go To Team Director of Photography Skip Clark lead the production crew utilizing the company’s brand new Panasonic Varicam AJ-HDC27F camera. 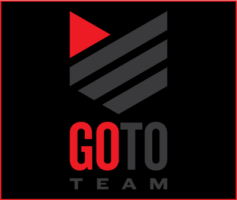 Go To Team is the first South Carolina-based production company to own and use the high definition Varicam, an HD camera that features stunning picture quality, robust color and amazing detail. Go To Team handled post-production as well, editing the spots using its complete non-linear HD editing system. “Editing in HD just brings the image to life. The color and detail are great to work with,” says Patrick Bryant, Operations Director Manager for Go To Team. s 20/20, Wachovia, NASCAR, Fox Sports, and UPS. Locally, Go To Team has produced broadcast commercial campaigns for the Charleston Area Convention and Visitors Bureau, East Cooper Regional Medical Center, and Mascot Homes. For More Information on Inspired Hype, contact Inspired Hype at 803-233-4704 (Columbia) or 843-278-8124 (Charleston) or visit their website at www.InspiredHype.com. For more information on Russell & Jeffcoat Realtors, call 803-779-6000 or visit their website atwww.RussellandJeffcoat.com.